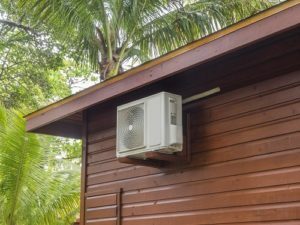 Whether you are using your heat pump to keep your home warm during winter or give you air conditioning heat relief during summer, there are a few things you can do to make sure that your heat pump is running as efficiently as possible. Every heat pump come with a timer. A few of the newer versions feature a seven day timer so your heat pump will switch on and off at different times each day for the entire week. Of course, this will all depend on your lifestyle. During winter, you may schedule your heat pump to switch on 45 minutes before you get up in the morning, so your kitchen and lounge are toasty once you start to make breakfast. During summer, you may set your heat pump to turn on as you leave for work. When you get out of your hot vehicle and open the front door, you will be welcomed by a cool breeze. Using a timer is economical in both ways compared to just leaving the heat pump open all day even when there is no one at home. Using a timer can also help you avoid making the next mistake which will be discussed next. Ducted systems and heat pumps are not like the older boiler heating systems. Before, when there were oil fin heaters, people will turn up the thermostat as high as possible so that the system will heat up faster. Once their home began to get war, they would lower the temperature back to a temperature that is a bit more reasonable. Heat pumps are way smarter than that. When your heat pump heats your house to 32 degrees once you come home then switching it down again once you get too warm will not heat your house any quicker. For power saving and economy, it is better to select a comfortable temperature, between a range of 18 and 22 degrees Celsius, and allow the heat pump to do its job. Always fiddling with the unit’s thermostat is another way of lower the efficiency of your heat pump unit and adding to your ever rising power bill. Vacuuming the filter of your heat pump regularly can help them remain efficient. During winter, when your heat pump unit is used constantly, you may want to do it every time you vacuum your house. If you want to get more information or you want a professional to get this job done for you, you should call Florence HVAC Experts. You should also consider having your heat pumps cleaned every year by a professional HVAC contractor. He can do a lot of things for you aside from vacuuming the air filters. They will take your system apart, and give your heat pump a thorough clean that will surely improve its efficiency. Just like all appliances, a heat pump Florence are rated according to their energy efficiency. Given that, not all heat pump systems are equal. So, be sure to choose the most efficient heat pump model out there. If you need help, do not hesitate to get it touch with a professional HVAC contractor. Call Florence HVAC Experts if you need help in installing, repairing, or maintaining your heat pump system.